Are you planning to board the Maharajas’ Express for the very first time? You will have thousands of questions about every aspect of the train. We have experienced numerous such luxury travelers before. 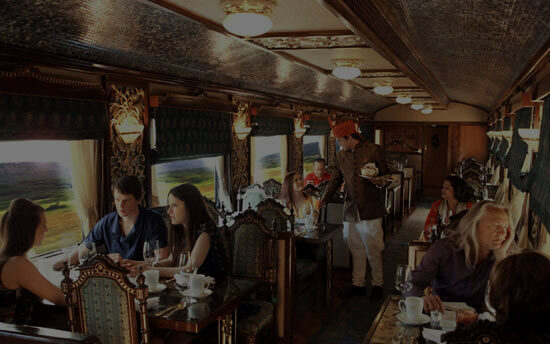 To make things easier, we have consolidated all the information about the Maharajas’ Express train and its amenities. The train holds 43 cabins, which are open for tourists. This excludes the cabin for staffs, kitchen, storage cabins and others. Among the 43 cabins, 20 are deluxe cabins, 18 are junior suites, 4 suites and 1 presidential suite. These names of the cabin denotes the level of luxury. The presidential suite is the most luxurious one and the deluxe cabin is the primary level of luxury. Each cabin other than the presidential suite holds two passengers each. The presidential suite can hold 4 passengers. This amounts to 88 passengers during every journey. Due to this limited number of seats, the demand for the train is very high. The train requires a minimum amount of passengers to start the journey. If the required passenger threshold is not yet met, the trip would be cancelled and notification would be made at least 30 days in prior to the journey and refund would be provided. The train holds two restaurants and a bar. The restaurant is served with signature chefs of the land. At each destination, the train procures fresh ingredients for serving the freshest dish for the tourists. 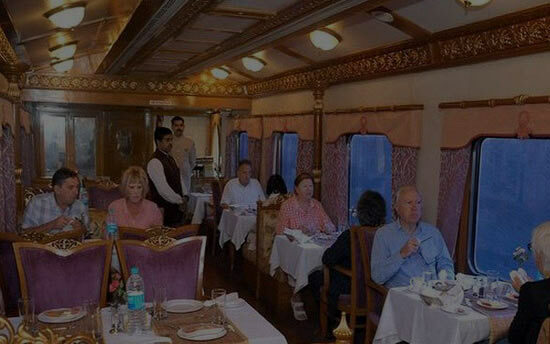 Mayur Mahal and Rang Mahal are the two restaurants in the Maharajas Express train. Each restaurant has 44 seats. Both the restaurants have the same menu and style of service. It all depends on which restaurant is closer to your cabin and whether there are any seats available in the restaurant. The train holds a bar, Safari, which stocks volumes of local and international brands of liquor, beer, spirit, wines and others. Tourists can choose to visit the bar to enjoy the drinks or request for the drinks to be served along with their meal in the restaurant. Maharajas’ Club is an observation car, which provides comfortable chairs for sightseeing through the panoramic windows. The observation car holds a large and stocked library, a small personal bar and a souvenir shop, Treasure Chest. Your vacation does not start and end inside the train.  The train stops at each destination in the itinerary. Tourists will be taken on a road trip to numerous destinations via comfortable vehicles. The guests of Junior suites and Deluxe cabins will be taken on a deluxe coach for sightseeing. The tourists of Suites and Presidential suites will be provided with cars. Each vehicle holds complimentary kits to every guest. The kit holds bottle coolers, tissues, candies, shoe uppers and other items. The tariff of the tour does not cover the pre and post hotel stay. It is recommended to be at the station, at least an hour before the departure time. It is up to you to choose to reach the city on the same day or, stay overnight at a hotel and reach the railway station on time. Similar to the hotel stay, the inward and outward flight tickets are not included in the tariff. The end and start destinations of all the journeys of Maharajas’ Express is either at Delhi or Mumbai. Both the cities holds busy international airport, which connects India with numerous international destinations and every major state of the county. Every passenger traveling with Maharajas’ Express is protected by a general travel insurance, which insures them in case of natural calamities like fire, earthquake, flood and others and, also theft. However, it is important for every tourist to have a personal travel insurance to cover unforeseeable events. A given itinerary can cover only a hand-full of destinations. In each destination, Maharajas’ Express gives its best by choosing the iconic attractions that will give you a glimpse of the land’s beauties. Do you want more from any of the destinations? Do you want to cover an additional state of the country during your vacation? Well, this is where Travelogy India comes into play. You can choose any of the itineraries from our tour packages to continue from the railway station after you have de-boarded the luxury train. Smoking is prohibited in every part of the train, including toilets, lounge rooms and your personal cabins. If you are very obsessed with smoking, talk with your butler to make special arrangements. Every cabin is fitted with smoke detectors. Thus, avoid smoking at all cost. According to Indian law, smoking is illegal in any public place, including monuments, hotels, cultural centers and so on. Maharajas’ Express adores children and their complex imaginations. There is no minimum age limit for a child to accompany his / her parents. For children below the age of 5, no fee is charged. No extra bed is provided for the child. The child has to share the parent’s bed. Children between 5 and 12 years are charged 50% of the charge. They will be provided separate beds. Other than the presidential suite, no other cabin has interconnecting room. Thus, your children might be allocated in separate suite. Maharajas’ Express aims to keep you connected with your internet world throughout the vacation. There is a practical problem in providing high-speed internet throughout your vacation. When the train is halted at any major station, you can enjoy internet without any hurdle. While transmitting through rural villages, the internet signal might break from time to time. The cost of the ticket for Maharajas’ Express includes. There is no limit for baggage in Maharajas’ Express. However, the space for baggage is quite small. Thus, it is better to stick with the international airline restriction. Inside the cabin, your luggage would be stored under your bed. Thus, stick with soft-topped luggage. In some cases, luggage can be stored in separate cabins too. Thus, keep a small lock in hand or choose luggage with number lock. The space size under a twin bed is 915 x 690 x 330 mm. under a double bed, the size available is 1370 x 940 x 330 mm. As mentioned before, your meal can be customized in accordance with your dietary restrictions starting from vegan diet to lactose intolerant diet. However, you need to express your requirements during the time of booking. If you give the requirements during the last minute, it becomes impossible for the chefs to cater your needs with the inventory they hold in a moving train. Porters are available at every point to help you with your luggage during boarding and de-boarding the train. It is up to you to either choose the porter service or handle your luggage yourself. Every car has a dedicated personal butler who is available throughout the day. All you need to do is push a button to summon him. He will be versed in English and local language and thus, it would be easier to get things done. Maharajas’ Express is in the route towards becoming more accessible to tourists of all needs. However, as of now, there are no facilities to cater such tourists. 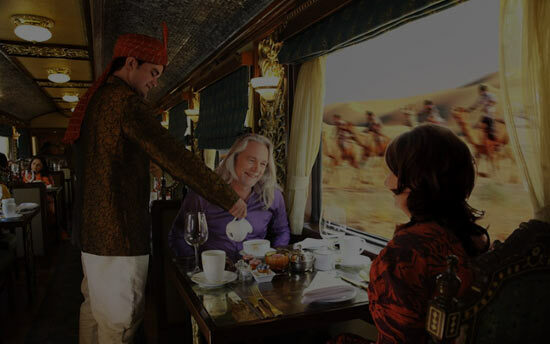 Nevertheless, Maharajas’ Express is open to all kinds of tourists. If you are differently abled, we recommend you to accompany with someone, who could help you throughout the trip. The train holds sockets in each cabin and in other public spaces. The voltage available on board is 110 / 220.  The train also provides international adapters for equipment from outside India. Maharajas’ Express makes sure to keep the excursions as comfortable as possible. Luxury coachesx and cars will be assigned to take you to the sightseeing spots. However, certain destinations have to be covered on foot. 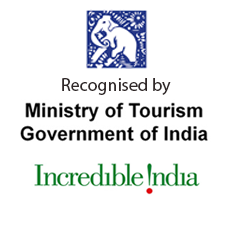 Moreover, India is a prime tourism destination and crowd is inevitable. You might have to stand in queue for a considerable amount of time. Thus, the train gently recommends tourists to wear comfortable walking shoes during excursions. If a guest is incapable of walking long distance, his participation will be denied without any refunds. If you decide to stay back in train, please inform the tour manager of the train, in prior to make arrangements. Every tourist group will be assigned with an English-Speaking guide, by default. If you ae looking for a guide who speaks your local language, please mention it during your booking process. Last minute requests would be impossible to meet. For the payments made on board, you can use all types of credit and debit cards like Amex, Visa, Master Cards and others. Every card transaction would have a surcharge in accordance with the bank and Indian government rules. If you are planning to use cash during your stay inside the train and during excursions, it is important to have Indian currency with you. With the recent demonetization rule, new currencies are in circulation. Available denominations of Indian currencies are 2000, 500, 100, 50, 20 and 10 rupee notes and INR 1, 2, 5 and 10 rupee coins. You can either exchange your currency to Indian currency at the airport, exchange centers or inside the train, where the Guest Relationship Manager will help you get the right deal. The exchange rate of Indian rupee changes every now and then. If you are a foreigner, you need to present your travel documents, which include passport with valid visa, ticket details and others. The visa should have been approved by the government. If you fail to show your travel details, you would be de-boarded without refund. A tourist visa will allow you to stay in India for 90 to 180 days, with at least two months of gap between two entries. If you decide to enter India within two months from the last entry, you need special permission from the government. Upon full payment, your travel document will reach your address, at least 14 days in prior to the journey. You need to carry the documents throughout your trip and it could be demanded at any point of the trip. There is no strict attire restrictions in Maharajas’ Express. All that the train demand is decent clothing that would not cause inconvenience to other passengers. If you are looking for the right cloth to pack for the trip, here is a simple guide. Safari: For safari trips, wear brown or dark green dresses, light clothing with thick shoes and socks. A cap is also preferred. Do not choose bright clothing for safari. Inside the Train: Smart casuals, shoes of your choice, decent nightwear and others. Make sure to pack sunscreen, insect repellent, hats and sunglasses during your trip. There is a paramedic available throughout your trip, inside the train. However, it is a moving train and it is physically not possible to provide all medical services. If you have any pre-existing medical conditions, try to bring all required medications with you. Also, mention your requirements during the time of booking for the paramedic to be prepared. If you believe that a certain excursion or activity would trigger a reaction, it is recommended to stay back inside the train, for your own safety. The staffs of the train change the bath linen and bed spreads every day, to keep it clean. It is requested to allow the staffs enter your cabin for the process during your stay. Every Maharajas express cabin has an attached bathroom, fitted with all amenities. Hot water services are also available. For enjoying hot water bath, the geyser should be switched on for twenty minute. A hairdryer is also available in every washroom. Every cabin has an electronic safe. If you are carrying any important documents or valuables, it is better to store it in the safe. If you are carrying something valuable, it is better to get it insured. In addition, it is recommended to avoid carrying a great load of money or extremely valuable items during your vacation. In case of mishap, the train management is not responsible for the damage or loss of your valuables. Every cabin is fitted with a telephone service, which can be used for making local and international calls. The charges for the phone calls would be exclusive of the tariff. The train is managed by the train manager, who would be on duty, 24/7. If you have any queries, which couldn’t be handled or conveyed to the butler, you are welcome to contact the train manager, at any hour. You can stay back in the train during any excursion, if you feel like taking off from the trip or not physically able to do so. Once the passengers de-board the train, the train will move to get filled with fuel, water and other procurements. Thus, contact the tour manager to inform that you would be staying back in the train. The train will not wait for a single passenger. If you are late for boarding the train, you might miss your vacation. No alternative arrangements would be made by the train, nor would the tickets be refunded. If you plan to explore the land on your own, without sticking to the itinerary, make it a point to reach back to the train before the departure time. Every crewmember of the train who comes in contact with the passengers will be well-versed in English. Each crewmember is qualified and well-trained for every aspect of the journey. Thus, you need not worry about your vacation quality or pampering. If you are traveling from any country, which is prone to Yellow Fever Endemic, you need to produce your Yellow Fever Vaccination Certification to enter India. There is no specific requirements from the Maharajas’ Express in terms of vaccination and other medical criteria. Maharajas’ Express provides premier services like laundry services. Laundry services are available only at certain destinations. Contact your butler to know the destinations where the service is available and the cost for the same. You can use your cell phones at any part of your vacation. While at public places, it is better to keep your phones in silent mode, out of respect for other’s comfort. The reception and internet speed of the cell depends on the data package and the signal strength of the service provider. When the train stops at any major station, the cellular reception will be very good. 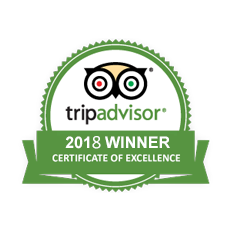 The train provides special events, signature excursion, guest lectures and other activities from time to time, over and above the actual itinerary. An additional charge will be provided if you wish to take part in those special activities. If desired, you can book the entire train for conference, organizing marriages, corporate events and others. If you have any special request, you can let us know in prior to the trip, during the booking. Developed by : Ligne Infotech Pvt. Ltd.